A reality TV star cemented his reputation as a real-deal dog driver Wednesday by claiming the Rookie of the Year award in the 46th running of the Iditarod. Jessie Holmes, who is featured on the National Geographic Channel's "Life Below Zero" reality show, grabbed seventh place in the 1,000-mile sled dog race. Holmes, 36, reached Nome at 2:39 p.m. with 10 dogs in harness. He finished a little less than 12 hours after winner Joar Leifseth Ulsom of Willow crossed the finish line at 3 a.m.
"I feel really good," Holmes said in an interview on Iditarod Insider. "It was a pretty amazing experience coming these last 23 miles into here, just watching the dogs, how much they've grown as a team over this thousand miles." Holmes lives in Nenana on a dog yard once owned by 1976 Iditarod champion Jerry Riley. He's been running dogs for more than a decade and started getting more serious about racing about six years ago. His big breakthrough came last spring when he beat a quality field in the Kobuk 440. And now he's the Iditarod's Rookie of the Year. The race's top 10 finishers were all in Nome by 4:27 p.m. Wednesday, when 64-year-old Linwood Fiedler of Willow crossed the finish line in 10th place. Six of the top 10 enjoyed career-best finishes, including Leifseth Ulsom and Nic Petit of Girdwood. Leifseth Ulsom won his first Iditarod title at age 31, a victory many figured he would capture sooner or later. In six races, he has never finished lower than seventh; before this year, his best result was fourth place. Second place went to Petit, 38, the hard-luck hero of this year's race. 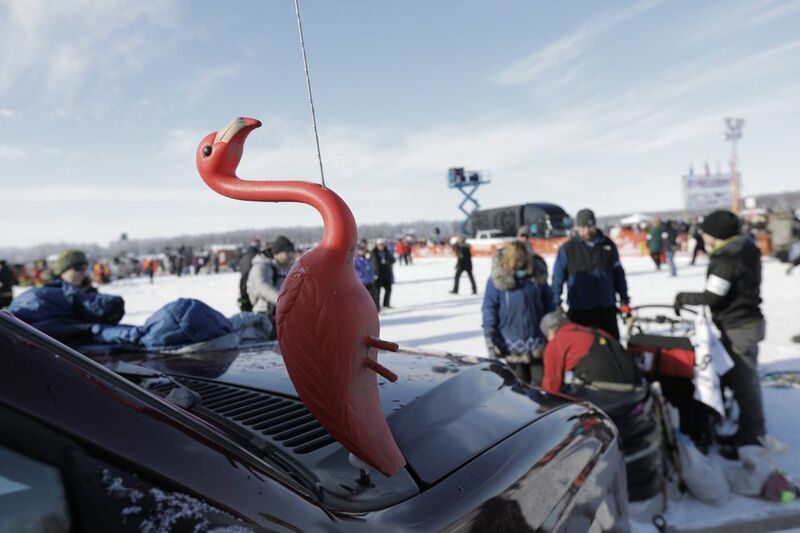 Petit, who was third a year ago, lost a commanding lead when he veered off-course during a snowstorm on the Bering Sea coast late in the race, opening the door for Leifseth Ulsom. He showed how fast his team is by making the 22-mile run from Safety to Nome in a sizzling time of 2:09. Third place went to last year's champ, Mitch Seavey, 58, whose bred-for-speed team struggled in deep snow that slowed the race pace. Fourth-place Ray Redington Jr. of Wasilla. 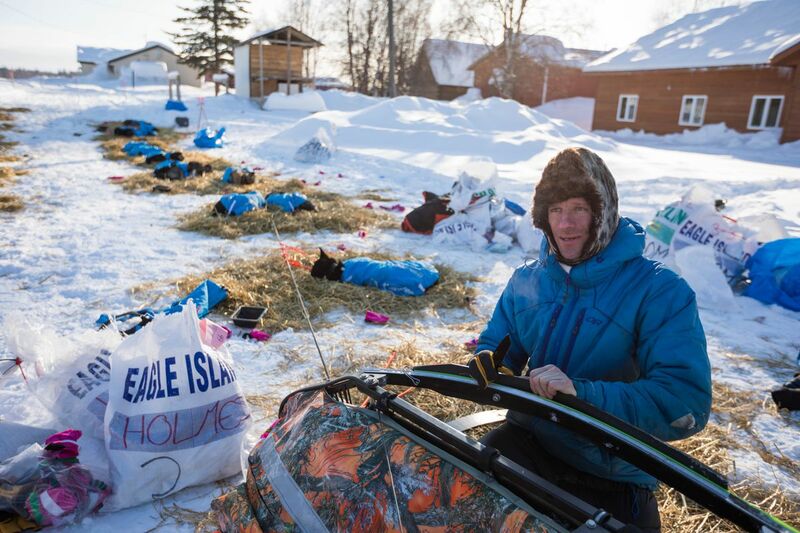 Redington, 42, reached Nome at 12:03 p.m. with 11 dogs for his highest finish in 17 races. It was his sixth top-10 effort — all of them coming in the last eight years — and it was one spot better than his previous-best finish of fifth place in 2013. Fifth-place Pete Kaiser of Bethel. This is the third time Kaiser, 30, has claimed fifth place and the fifth time in nine races he's been in the top 10. He arrived at 1:09 p.m. with eight dogs. Sixth-place Richie Diehl of Aniak. It's the first top-10 performance in six finishes for Diehl, a 29-year-old whose previous best was 12th in 2016. He got to Nome at 2:19 p.m. with 10 dogs. Seventh-place Holmes, who outdueled rookie Matt Hall of Two Rivers on the coast between Shaktoolik to Koyuk. Hall placed 11th, this year's second-best rookie showing. Eighth-place Ramey Smyth of Willow. Smyth, 42, racked up his 10th top-10 finish — he was second in 2011 and third in 2012 ad 2008 — by reaching Nome at 3:10 p.m. with nine dogs. Smyth has finished the race 21 times. Ninth-place Travis Beals of Seward. Beals, 26, returned to the race this year after being barred from the 2017 race and suspended indefinitely because of two domestic violence charges against him in 2015. The indefinite suspension lasted one year. Beals finished at 3:46 p.m. with 10 dogs, improving on his previous best finish of 11th in 2015. Tenth-place Linwood Fiedler of Willow. At 64, he's the oldest musher in the top 10. In 20 finishes, he's been in the top 10 five times and was the runner-up in 2001. Fiedler, who ran his first race in 1989, finished at 4:27 p.m. with 10 dogs.